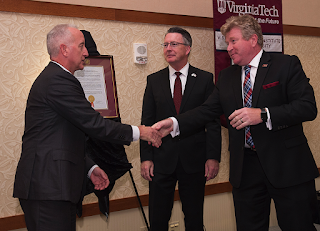 The 55-year-old aerospace engineer further describes his collegiate experience at Virginia Tech as providing him with the foundation to have a successful professional and personal life, in addition to a platform from which to make a positive impact on the world. During the first decade of his career, Crofton worked on U.S. Department of Defense and commercial programs in propulsion for United Technologies, including Boeing’s Inertial Upper Stage Program, which positioned satellites in geosynchronous orbit from the space shuttle. The Kevin Crofton Department of Aerospace and Ocean Engineering has more than 550 undergraduate students and 160 graduate students enrolled. Its faculty and students are engaged in numerous areas of research, with annual expenditures of more than $8 million. Departmental facilities include wind tunnels, a flight-test runway and hangar, and an advanced power and propulsion laboratory. 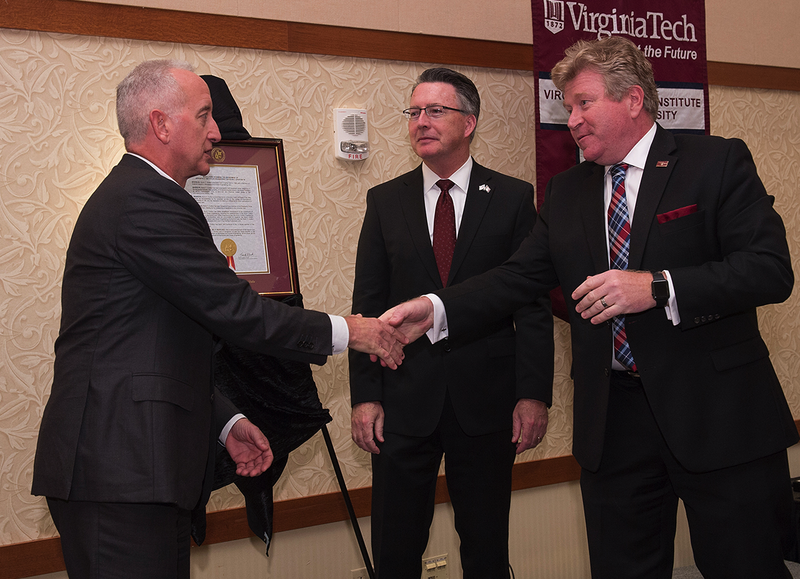 The $1 million Crofton directed to Student Affairs is the largest cash gift ever made to that division and will benefit initiatives through VT Engage, Virginia Tech’s service-learning and civic-engagement center. Dan Parent, P.E. and Cold Craft have similar philosophies regarding the design, planning, and installation of HVACR equipment; they keep many factors in mind to create a building environment that is comfortable, practical, and as energy efficient as the customer desires. Cold Craft, a heating, ventilation, air conditioning, and refrigeration firm in the San Francisco Bay area, sought an engineer to add to the team to hit specific targets such as improving the customer experience. They would do this by bridging the engineering and fulfillment experience to achieve even more predictable project's timelines, increased budgetary control, and clarity on the project. While most engineers lack field experience and field professionals often lack the engineering component, it is unusual to find an individual such as Dan Parent experience in both. Cold Craft sought individuals that share their firm belief that control during the design process can eliminate cost over-runs that sometimes develop as a project moves from conception to design. Parent has worked with firms such as H-Square Mechanical, Therma, and Polyaire Mechanical. Coupled with his education from California Polytechnic University, this makes him a great fit for Cold Craft. Customers opting for the design-build concept benefit from knowing that the complete responsibility for the entire system rests solely with one company. Susan Nichol, CEO of Cold Craft, adds, "Dan joining our firm can only be good for our clients, as they will get the whole package with just one responsible party. Dan's project management, engineering, and field fulfillment knowledge means that he has the knowledge of several positions. This means one party - no finger pointing at other parties like you see with the splintered engineering and mechanical contractor jobs." In the past, Cold Craft, hired outside talent for the engineering, and that worked well, but the firm is looking for a more seamless process for the clients. Cold Craft specializes in green build construction, focusing on geothermal, for example, and grocery store construction and renovation. So whether the application is design or design-build, Cold Craft is positioned to assist the client with its experienced Engineering and Design Department. With Parent on board, Cold Craft says it can provide even better all-in-one services for prompt, precise, and well-defined proposals for negotiated projects in the initial stages of planning and development. The firm realizes the significance and importance of being able to provide true scopes and dependable pricing for these projects, and Parent's experience will help them meet those customer care goals. Established in 1991, Cold Craft, based in Campbell, CA has established itself as an HVACR subcontractor in the Northern California area. The firm offers a diverse portfolio in both commercial and residential sectors. For more information, visit www.coldcraft.com. The Society of Plastics Engineers has named the winners of the 2016 scholarships administered by the SPE Foundation. The list includes 42 scholarships totaling over $110,000. 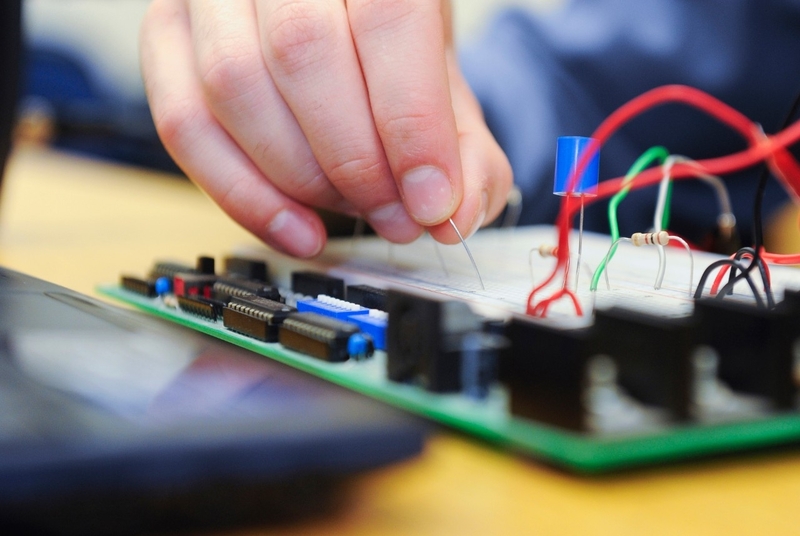 The foundation supports the development of plastics professionals by funding and supporting quality educational programs, scholarships, and student experiences. Scholarship applicants must be majoring in or taking courses that would be beneficial to a career in the plastics industry. All applicants must be in good standing with their colleges. The 2017 Scholarship Application process opens Dec. 1. For more information on SPE scholarship opportunities please go to www.4spe.org/scholarships. Art Haas Scholarship: $3,000: Jason Sutter, a junior at Kettering University in Flint, Michigan, who is working toward getting his bachelor’s degree in mechanical engineering. Automotive & Composites divisions: Jackie Rehkopf Memorial Scholarship: $5,000:Robert Hart, a Ph.D. candidate in the college of engineering at the University of Iowa in Iowa City. Automotive & Composites divisions: Jackie Rehkopf Memorial Scholarship: $5,000 / Injection Molding division Scholarship: $3,000: Sebastian Goris, a doctoral student and graduate research assistant at the University of Wisconsin Madison. Automotive and Composites Conference & Exhibition Scholarship: $2,000: Mariana Desireé Reale Batista, a Ph.D. student in materials science and engineering at Michigan State University in East Lansing. Automotive and Composites Conference & Exhibition Scholarship: $2,000: Lu Wang, a Ph.D. candidate at the Advanced Structures and Composites Center in the University of Maine in Orono. Automotive and Composites Conference & Exhibition Scholarship: $2,000 / Thermoset division Scholarship: $2,500: Srikanth Raviprasad, a graduate student of aerospace engineering at the University of Illinois at Urbana-Champaign. Bill Benjamin Scholarship: $1,500: Logan Tate, a sophomore studying plastics and polymers engineering technologies at Pennsylvania College of Technology in Williamsport. Blow Molding division: Carrie Fox Solin Scholarship : $3,000: Seth Cook, a senior in the plastics & polymers engineering technology major at Pennsylvania College of Technology, Williamsport. Carl Haas Scholarship: $3,000 / Polymer Modifiers and Additives division Scholarship: $2,000 / Thermoplastic Materials & Foams division Scholarship: $2,500 / Thermoset division Scholarship: $2,500: Josey Hrbek, a senior studying chemical engineering at Kettering University in Flint, Michigan. Composites division Scholarship: Harold Giles: $2,500: Emily Anne Vargas, an industrial and manufacturing engineering senior at Florida State University in Tallahassee. Composites division Scholarship: Harold Giles: $2,500: Siddhartha Brahma, who is pursuing a PhD in materials science and engineering from the University of Alabama in Tuscaloosa. Detroit Section: Robert G. Dailey Scholarship: $3,000: Andrew Puck, a senior studying chemical engineering at the University of Wisconsin Madison. Detroit Section: Thomas E. Powers Scholarship, $3,000/Product Design and Development division/Mid, Michigan Section: Robert E. Cramer Scholarship: $1,000: Christina Sheng, a fifth-year honors student studying materials science & engineering at Rutgers University in New Brunswick, New Jersey. Extrusion division Scholarship : Ed Steward: $2,500: Troy Metz, a sophomore at Northwest State Community College in Archbold, Ohio. Extrusion division: Lew Erwin Scholarship: $5,000: Barbara Calderon, a second-year Ph.D. student in plastics engineering at the University of Massachusetts Lowell. Extrusion: Russell Gould Scholarship: $2,500: Alison Davidson, a junior studying at Pittsburg State University in Pittsburg, Kan., seeking a bachelor’s in plastics engineering technology. Fleming/Blaszcak Scholarship: $2,000: Miguel Sifuentes, a junior at the University of the Incarnate Word in San Antonio, Texas. 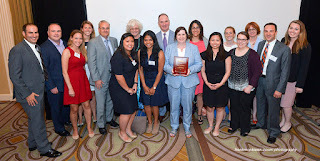 Gail Bristol Scholarship: $3,000 & Ruth Neward Scholarship: $3,000: Kathleen Nicosia, a senior undergraduate student at the University of Massachusetts Lowell. Gulf Coast Hurricane Scholarship: $6,000: Emma Adams, a senior at Auburn University in Auburn, Alabama, pursuing a dual degree in chemical engineering and polymer and fiber engineering. Jade Molds Scholarship: $1,000: Nicholas Moore, a sophomore at Pennsylvania College of Technology in Williamsport, majoring in plastics and polymer engineering technology. K. K. Wang Scholarship: $2,000: Cody Langlois, who graduated with a bachelor’s degree in plastics engineering from UMass Lowell in 2016 as a Commonwealth Honors Scholar. Polymer Modifiers and Additives division Scholarship: $2,000: Glenn Spiering, a junior majoring in plastics engineering technology at Penn State Behrend in Erie. Polymer Modifiers and Additives division Scholarship: $2,000: Stephanie Ternullo, a senior majoring in plastics engineering at UMass Lowell. Polymer Modifiers and Additives division Scholarship: $2,000 / Detroit Section: Kakarala Scholarship: $3,000: William Miller, a senior in the plastics engineering program at the University of Wisconsin Stout in Menomonie. Ted & Ruth Neward Scholarship: $3,000: Casey Baran a senior at Penn State Behrend studying plastics engineering technology. Ted Neward Scholarship: $3,000/Polymer Modifiers and Additives division Scholarship: $2,000: Patrick Facendola, who graduated from the honors college of UMass Lowell with a bachelor’s degree in plastics engineering. Ted Neward Scholarship: $3,000: Blake Heller, a PhD candidate in mechanical engineering at Baylor University in Waco, Texas. Thermoforming division Memorial Scholarship: $2,500: Austin Howard, a sophomore studying mechanical engineering at Kettering University in Flint, Michigan. Thermoforming division Scholarship: $2,500: Vincent Chee, a senior at Rutgers University, scheduled to graduate in December with a bachelor’s in packaging engineering. Western Plastics Pioneers Scholarship: $2,000: Alec Jobbins, a freshman in UC Berkeley’s college of engineering with a major in mechanical engineering. Process Engineering Associates has announced the official opening of its new Mountain West Regional Branch office in Salt Lake City, UT. This is to better serve clients in the region in markets such as minerals processing and refining. Mike Sessions, P.E. will manage the office. Process Engineering Associates is a chemical engineering company providing process design, applied chemical engineering, and process safety services to the petroleum refining, chemical production, alternative fuels, food grade products, and nuclear materials processing sectors and all other process industries. Headquartered in Oak Ridge, TN, the firm has other regional branch offices in Gilbertsville, PA; Daphne, AL; and Richland, WA. For more information visit www.processengr.com. The Pennsylvania Recycling Markets Center (PRMC) recently honored the Northern Lancaster County Authority (NLCA) of Denver, PA with the 2016 William M. Heenan, Jr. Recycling Markets Development Award for its commitment to creation of new markets for recycled color-mixed glass. PRMC recognized the use of recycled glass as a growing medium for the reed bed filtration system at the Authority's Beam Road Wastewater Treatment Plant. To RMC's knowledge, the plant is the first location to use sharp-free, manufactured recycled glass aggregate for this purpose in the United States. A reed bed or constructed wetland is essentially a type of water filtration system that mirrors the way natural wetlands break down waste in water and filter impurities. 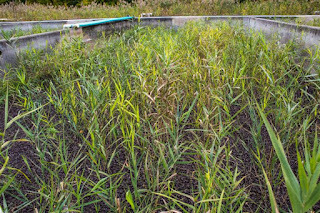 Wetland reeds, specifically Phragmites austalis, are cultivated in a recycled glass aggregate filter bed where the plant roots and natural microbial processes turn wastewater solids into treated water and benign solids. Free of chemicals and odors, these beds have proven cost-effective and energy-efficient, and they significantly reduce or even eliminate the need for disposal of the solids. Reed bed systems have been shown to reduce the volume of solids by as much as 90 percent. 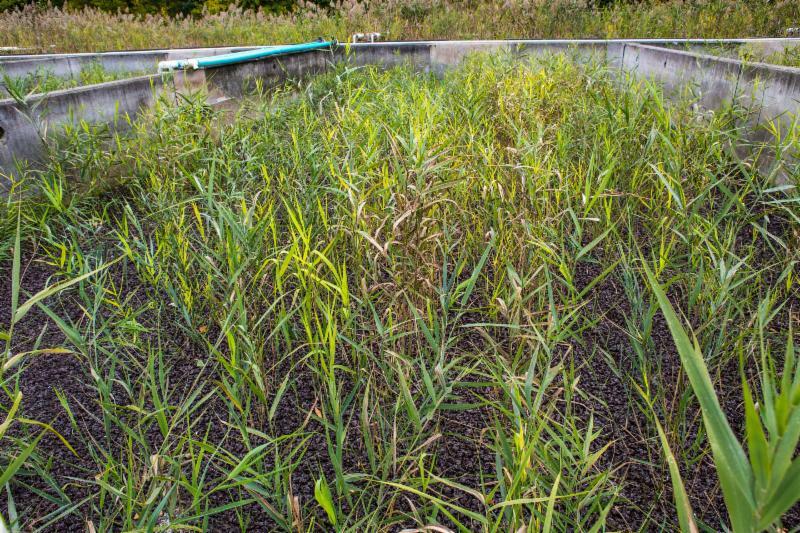 "Typically, the growing media for reed bed wastewater filtration is a very porous, fine aggregate such as sand," explains Jason Coyle, plant superintendent for NLCA. "Our sand was 20 years old and had broken down over time. As a planting bed, recycled glass aggregate manufactured to a uniform, sharp-free specification has been demonstrated in other countries. With technical input from the RMC, we were interested in bringing it to Pennsylvania." Originally developed by the Max-Planck Institute of West Germany and the Netherlands approximately 30 years ago, the recycled glass process has been approved by the U.S. Department of Environmental Protection and has been used in on-lot sand mound septic systems for about a decade. NLCA is currently using 800 tons of processed, crushed, size-graded and color-mixed container glass obtained from Cougle's Recycling of Hamburg, PA, an amount roughly equivalent to what a rural Pennsylvania county may collect in 2.5 years. "No one has put this into an application of this size," adds Coyle. The NLCA wastewater treatment plant was constructed in 1979 and upgraded in 2013 in compliance with the Chesapeake Bay Tributary Strategy. To comply with the Chesapeake Bay Tributary Strategy, the plant diverts significantly more solids to the reed beds than in previous years. This, along with competitive pricing for the sharp-free, recycled glass aggregate, made the decision to use it realistic. "Proper processing of solids is a major issue faced by wastewater treatment plants such as NLCA's plant, especially those who require compliance with the Chesapeake Bay Tributary Strategy" says Robert Bylone, PRMC president and executive director. "They've taken an existing treatment method and built on its sustainability by using a recycled-content product. For these reasons, and for the courage of the Northern Lancaster County Authority to pioneer recycled glass aggregate for this use, we are proud to recognize them with the William M. Heenan, Jr. Recycling Markets Development Award." The 2016 Reed Bed Upgrade was a win-win for all parties involved. 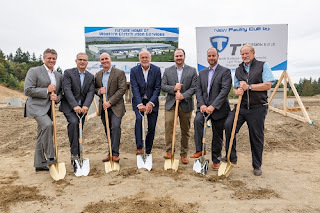 Fred Ebert, president, Ebert Engineering, NLCA's consulting engineer; Jason Coyle, NLCA superintendent; Scott Davis, president, Constructed Wetlands Group; and Wayne Bowen, recycling program manager, PRMC, combined technical knowledge and research to bring the successful project together. Using Cougle's Recycling's manufactured recycled glass aggregate saved thousands of dollars of freight expense compared to hauling the nearest available sand from Delaware or Maryland. Donald Kellenberger, of Kellenberger Excavating in Spring Township, said final grading of the recycled glass aggregate was easier than sand. Don observed that the manufactured recycled glass aggregate held its shape and position better than the sand. This ease of installation resulted in significantly less time to complete installation, reducing total install time to less than two (2) weeks. 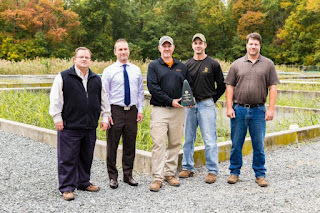 The Northern Lancaster County Authority was the first reed bed biosolids treatment system in Pennsylvania. With over 80 reed bed systems treating biosolids in Pennsylvania, the authority has opened a door for using recycled glass both here and across the nation. "PRMC will continue to expand this use across Pennsylvania and potentially the nation," adds Bylone. "A win for the environment while simultaneously reducing construction costs for the residents of Brecknock Township and excelling treatment output made receiving the 2016 Heenan Award very rewarding," says Jason Coyle. The William M. Heenan, Jr. Recycling Markets Development Award is the only award if its type given annually in Pennsylvania and is named in memory of William M. "Bill" Heenan, Jr. Heenan was a lifelong international ambassador of the recycling industry who was instrumental in supporting the Pennsylvania Department of Environmental Protection to initially vision and fund inception of the PRMC. Organized as a non-profit corporation, PRMC develops and expands the use of recycled materials and recycled content product markets in Pennsylvania. PRMC is the keystone of economic development through recycling and to manufacturing resources for support of recycled content product development. With refined expertise in assistance for markets development, materials use, applied research, business assistance, and technical training, PRMC is headquartered at Penn State Harrisburg with satellite offices near Pittsburgh and Philadelphia. The center is funded in part by the Pennsylvania Department of Environmental Protection. For more information, visit www.pennrmc.org. 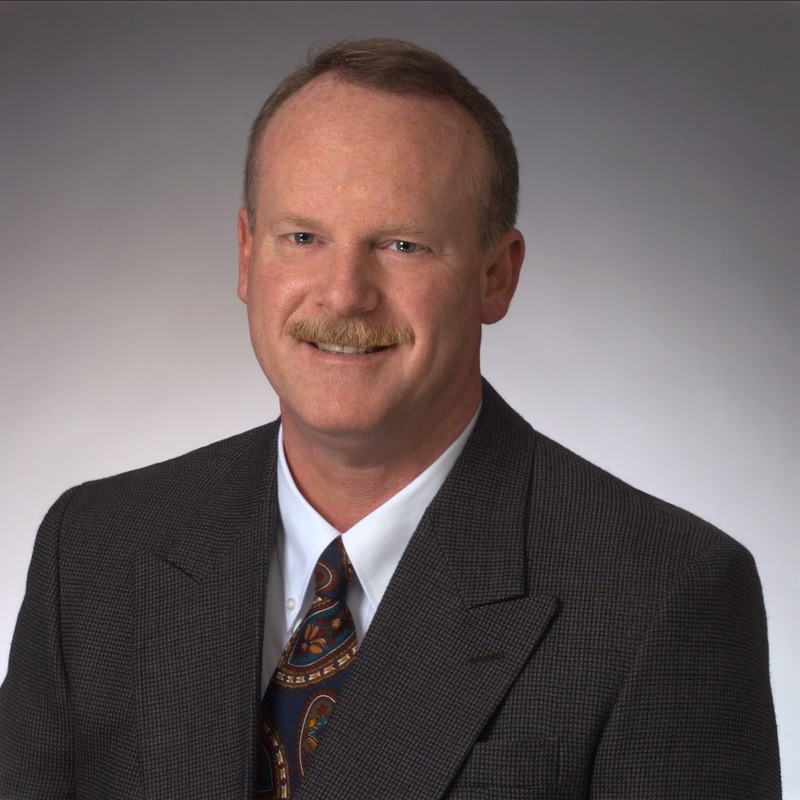 Mark Lawrence, PE specializes in the design of permanent and temporary excavation support systems. 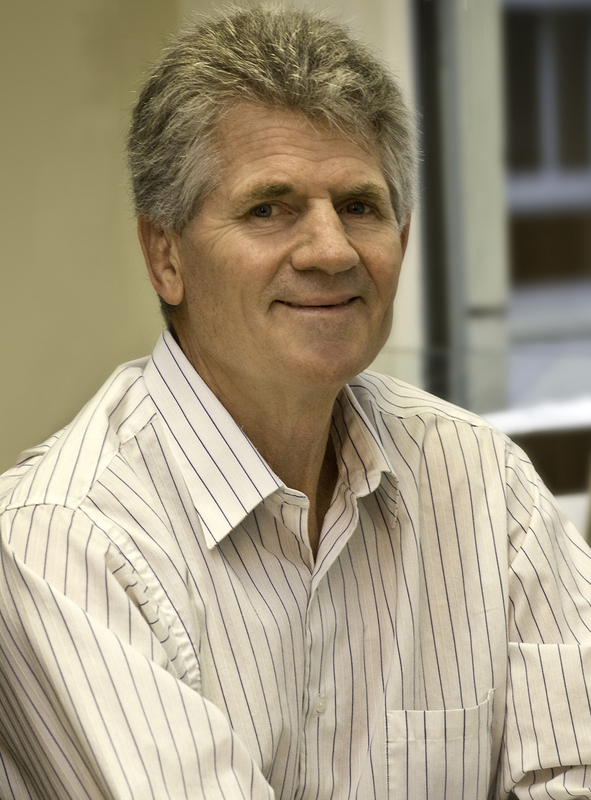 With over 35 years of experience, he leads the excavation support design group in the San Francisco office. 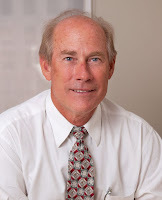 In 2011, Mark was the first recipient of the James Wilton award, an employee award honoring the memory of James Wilton, former principal and president of Jacobs Associates. Mark’s experience spans a multitude of projects. Notably, he provided design of slurry wall shaft excavation support systems for the Nicolai, pump station shafts for the Willamette River CSO Project, and the pump station shaft for the Brightwater Conveyance System. The Willamette Pump Station is still the largest-diameter slurry wall shaft constructed in soft ground in North America. Mark’s more recent work includes a dual-cell slurry wall shaft for the Watercare project’s Mangere Pump Station, a 110-foot-diameter by 94-foot-deep CSM shaft for the Humboldt Bay Power Plant decommissioning, several deep excavations in San Francisco for new underground space, and assistance with the declines in Sydney. 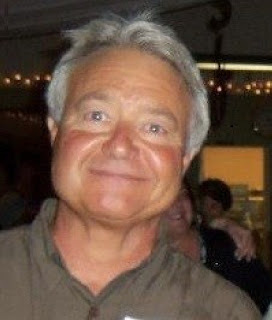 John Waggoner, PG, CEG, has over 35 years of experience in the application of engineering geology to a diverse array of public and private sector civil engineering projects, including underground construction projects, dams and reservoirs, pipelines, highways and bridges, dewatering systems, and hazardous waste sites. Based in the Pasadena office, he applies geologic factors to the permitting, design, and construction process and has used this expertise to avoid or minimize complications during construction on many signature California projects. These include the San Jose to Merced leg of the California High Speed Rail Project, the Arrowhead Tunnels, and numerous assignments for LA Metro and MWD. John’s work on the Newhope-Placentia Truck Sewer Replacement design project in Orange County and the Chevy Chase Sewer construction management project in Glendale helps maintain his market understanding across Southern California. Based in San Francisco, McMillen Jacobs Associates is an employee-owned environmental, engineering, and construction company providing a comprehensive array of technical services to the heavy civil, underground, and water resources markets. For more information, visit www.mcmjac.com. Fireaway, the manufacturer of Stat-X condensed aerosol fire suppression generators, is constructing a new fire research and test facility at its agent manufacturing plant in Minden, Louisiana. This facility will be capable of full-scale testing of fire extinguishing systems in a volume exceeding 500 cubic meters. The capability will include data acquisition, video, IR imaging, and gas analysis. It will be the only facility of this size and capability in North America. Once completed, this new facility will be used for testing to confirm the suitability of Stat-X aerosol systems to meet customers’ requirements, further development of Stat-X aerosol extinguishing systems, testing for new applications, and obtaining additional international approvals. Stat-X First Responders and Stat-X fixed systems are highly-advanced automatic condensed aerosol fire-suppression solutions used to save lives and protect assets. These units are deployed in tough conditions worldwide, including surface and underground mines, military vehicles, long haul buses, rolling stock, remote telecom sites, wind turbines, power substations, electrical cabinets, and various marine and off-shore settings. They are capable of being manually, thermally, or electrically activated by control panels. Fireaway is an ISO 9001-2008 certified company with production facilities in Minnetonka, Minnesota and Minden, Louisiana. For more information, visit www.statx.com. 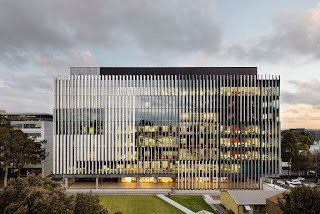 The new building for the School of Materials Science and Engineering (MSE) at UNSW Australia (University of New South Wales) officially opened this past July with a ribbon-cutting ceremony presided over by top officials from UNSW and the state of New South Wales. The MSE building, also known as the Hilmer Building, houses Australia’s highest ranked materials and physical science research institute. HDR, the lead laboratory architects and engineers, were selected with Grimshaw, head design consultant, and TTW and Steensen Varming, principal consultants, based on the team’s design competition proposal, which married the precise functional and servicing requirements of physical and chemical science laboratories with the need for enhanced interaction between researchers, academics, and faculty members. The MSE building has also been designed to celebrate “science on display” with abundant research and collaboration space. The laboratory spaces make up the core of the facility and are transparent wherever possible, revealing the work of the researchers within. Surrounding the labs is a habitable skin consisting of meeting rooms, offices, and breakout spaces designed to encourage knowledge sharing. HDR has partnered with clients to shape communities since 1917, specializing in engineering, architecture, environmental, and construction services. The firm has nearly 10,000 employees in more than 225 locations around the world. For more information, visit www.hdrinc.com. Merritt Engineering, a New York-based veteran-owned small business (VOSB) firm specializing in building envelope restoration and structural design, celebrates 30 years of business. Founded by Charles Merritt, P.E. 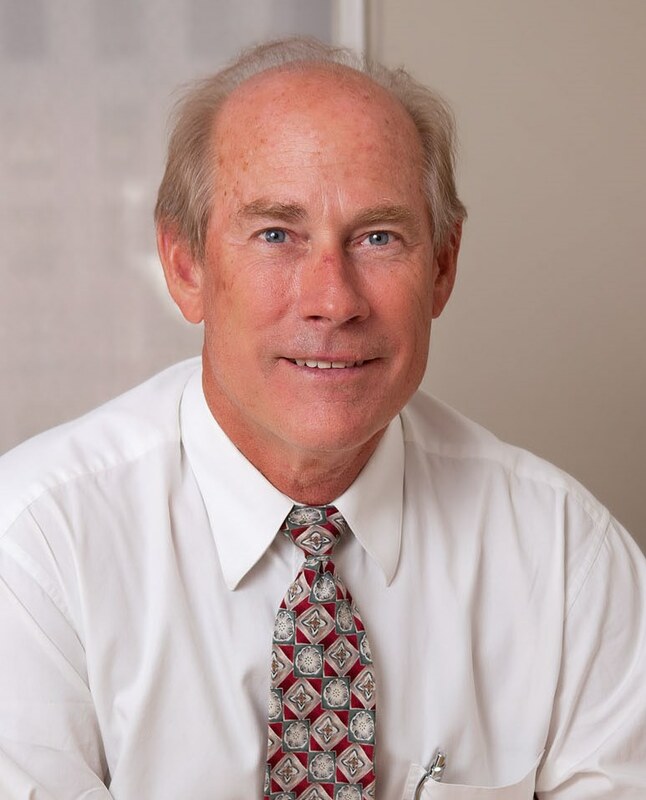 in 1986, after serving as JC Penny’s chief construction engineer and having gained over 30 years of structural design experience, Merritt set out to provide a quality engineering consulting service to building owners and managers throughout New York City. The firm quickly built a reputation, as Mr. Merritt and his team assisted numerous facility owners and managers in restoring and maintaining their buildings’ exteriors. Over the last three decades, the firm has performed thousands of building inspections, condition surveys, and exterior rehabilitation projects throughout the NYC Metro Area as well as the entire United States. Today, the company has 30 employees and offices in New York and Florida, working on highly visible, multi-million dollar restoration projects for commercial, residential, healthcare, and educational properties. Merritt continues to expand its services and markets while staying on the forefront of ever-changing technology and industry standards. For more information, visit www.merrittengineering.com. Researchers at University of Massachusetts Lowell are conducting a study to evaluate exposures associated with the use of products that contain reacting chemicals (such as isocyanates and epoxies) and controls that reduce exposures to these chemicals in construction during the installation of spray polyurethane foam (SPF) insulation in homes across Massachusetts. Anila Bello, ScD, MSc, a research occupational and environmental health scientist at UMass Lowell's College of Health Sciences says, "We are looking forward to the partnership with Mass Energy Lab Insulation as they are a widely regarded insulation company here in Massachusetts and have given us unprecedented access to numerous job sites and insulation personnel, to assess exposures to and develop recommendations for safer work practices for installers, bystanders, and occupants." This unique study is headed by principal investigators Dhimiter Bello, ScD and Susan Woskie, PhD. "SPF is an excellent insulating material. The chemistry and technology of spray foams has improved considerably over the years and so have industry best practices, adherence to which enable safe foam applications," Dhimiter says. "Field exposure data and field observations to date are limited. Good data will allow us to make informed decisions on best work practices and controls, so we can reap the benefits of the technology while keeping everyone - the installer, helpers, and homeowners - safe. This partnership with Mass Energy Lab is an important mechanism towards reaching these goals, and we value their pro-safety culture." "The study is federally funded and we do not analyze anything else not related to the work, including drugs or drug by-products. We're researching so that we can better understand where and how exposures occur and how controls can be engineered so these tools and equipment can be made safer for health. Having a forward thinking insulation company like Mass Energy Lab as our partner has been very beneficial. Our collaboration is built on trust and a mutual long-term vision to make a positive impact on the spray foam industry as a whole," Dhimiter added. "The two most important stakeholders in any company are their clients and employees. Knowing that we can give our customers and installers a validation that when we install spray foam insulation in their homes, we're bringing a valid, science-backed paradigm is our top priority with this partnership," states Edward Liu, Mass Energy Lab's operations engineer. "We strive to be the expert on insulation, and it's a privilege to work with the UMass team that has long been the authority on studies like this." Mass Energy Lab Chief Field Engineer Josue Valdez says, "The insulation industry is one of the most scrutinized and regulated industries, and the SPF insulation market is growing by 7.6 percent annually. So being able to have UMass come to our job sites, build such great trust with our install team, observe our installers as they work, and test samples of spray foam insulation in our client's homes is unbelievable because insulation workers come to work everyday and get exposed to various chemicals and resins and use a variety of equipment to protect themselves from it. We all want to know that are we in a safe workplace, and this is part of Mass Energy Lab's commitment to working together to create a safer work environment for our spray foam installers. It's about working together to create a seamless, safe insulation install."